For families caught in the stormy situation at the U.S. border, the situation is beyond inhumane. While offering help to the unaccompanied minors being held at detention centers across the country is not allowed at the moment, there are groups of accompanied children being transitioned into immigration proceedings as they relocate to areas where they have a family support system. Recognizing the opportunity to address the immediate needs of these children for a short time while they are in transition, today, a group of concerned individuals and organizations have teamed up with the goal to build awareness and support for the organizations doing relief work for these children. “What we have here is a humanitarian crisis. We are talking about children who need our protection, our assistance, our love. We are calling on our president and our government to show some humanity towards these children, and for our communities and all agencies to open up their homes, their resources, their hearts. 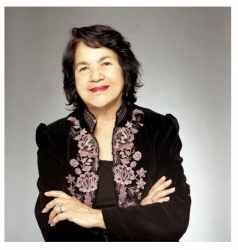 Let’s provide support in action for these, the most vulnerable members of our society,” said Dolores Huerta, Labor rights leader and President of the Dolores Huerta Foundation. “Regardless of the politics surrounding this issue, the fact of the matter is that the children and families going through this situation are suffering. As human beings, we cannot allow ourselves to become so hard-hearted as to witness this crisis without doing something to help,” said Elianne Ramos, Principal and CEO of Speak Hispanic. “Helping those in need, especially children, is the main purpose of this endeavor. 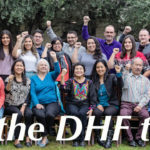 Devoting time, supplies and support to families that are devastated through separation is simply the right thing to do,” said Liz Cerezo, blogger at Family is Familia.